Coppell got clobbered again, in what's looking like an annual hail barrage. The last few weeks have been a blur as we've replaced glass and other essentials on hundreds of cars to get them safe and back on the road. Now customers have time to navigate the insurance, car rental, and body shop backlogs, as well as make sound decisions on how to move forward if their car was "totalled". It's always difficult to manage life's many demands when a car is in the shop. Unfortunately for many of our customers, the hail storm, probably Coppell's worst, knocked out multiple cars, and some permanently. Coppell Tire & Auto, and our sister body shop, Coppell Collision Repair, can help. The first step is to call your insurance company to schedule an estimate. If the wait is too long and your car is unsafe from damaged glass or lights, swing by. In most cases we can make it safe to drive temporarily and get reimbursed through your insurance company. If you plan to repair the car, the next step is to come by with your insurance estimate and car so we can start the insurance supplement process. In almost all cases the initial insurance estimate is underwritten by several thousand dollars. We need the car for about a day. If needed, we'll send a supplement request to your insurance company, which may require their adjuster to come back out on a future date. You'll get the car back in the interim so not to have it sit needlessly. Once the supplement is authorized, we can order parts and schedule work. Keep in mind that rental cars are hard to come by, so you'll need to verify availability. We have a relationship with Enterprise in old town Carrollton which provides special rates and enables pick up and drop off here at the shop. Call them direct at 972-466-1276. 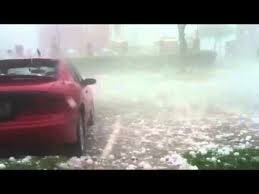 Keep in mind that we are in the middle of hail season. While we encourage you to take the above steps now, you may want to hold off on the actual repairs until the threat of more hail subsides. Excellent process, car glass repair procedure is defined quite friendly that is very helpful for all readers. Yes, renting a van for these types of trip is a good idea. You can choose any van rental company according to your needs. You just need to do some search on internet.